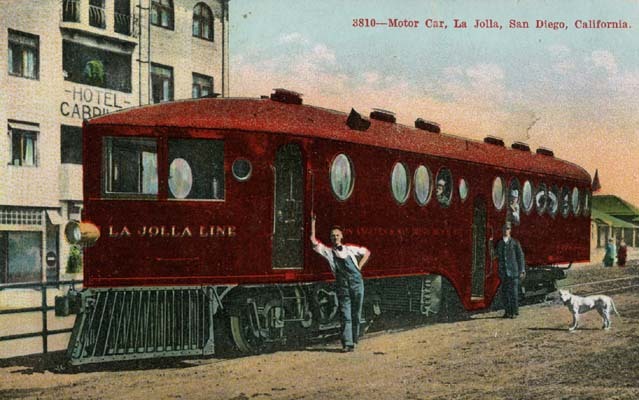 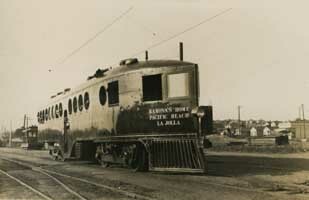 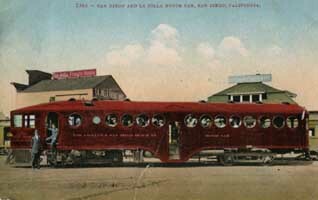 McKeen motorcar of the Los Angeles & San Diego Beach Railway in front of the La Jolla Freight House and the La Jolla Depot. Hand-painted card showing a Motorcar in front of the Hotel Cabrillo on the La Jolla Line. Photo circa 1907 on the Los Angeles & San Diego Beach Railway going between Ramona's Home, Pacific Beach, and La Jolla. 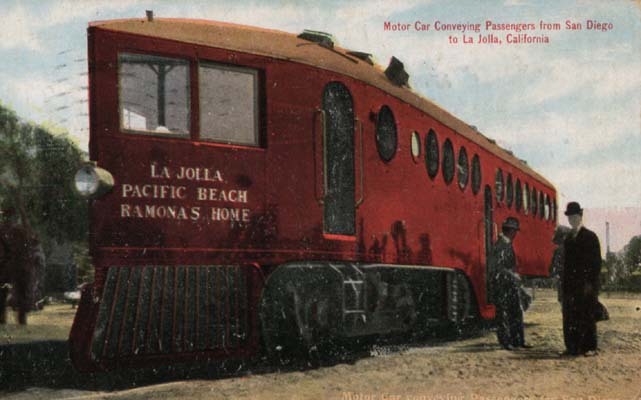 Motorcar "Cuyamaca" going to La Mesa Springs, Lemon Grove, Narragansett, and Encanto Heights. Postmark shows 1908. 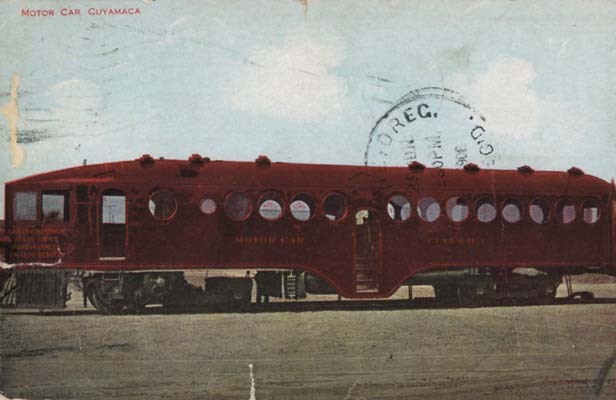 Motorcar on a postcard sent in 1910.